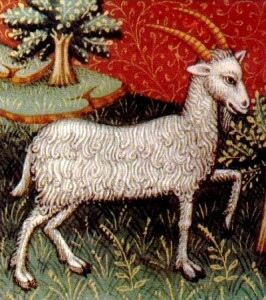 Capricorns are the tenth sign of the Zodiac and are Earth signs. Represented by a goat, Capricorns are career-driven, socially intelligent, and financially wise. These traits lead to great success in the modern world. They are cautious when making large decisions in life, and have no problem mulling over their choices for long periods of time. If you do a Capricorn a favor, expect your kindness to be returned. They are giving, but they also hate the idea of being indebted to anyone. Because of this they make savvy investors, and are cautious and wise when handling their money. Capricorns also make great leaders. This isn’t necessarily because they are naturally inclined to lead other people, but because their drive and aspirations are so high that people naturally follow them – whether they like it or not. Capricorns follow the philosophy that in order for something to get done, it’s often best to do it themselves. They never sit idly when there’s a change they want made – no matter how big or small. Sometimes the slow decision-making process of a Capricorn can seem emotionless and cold. Try and remember that Capricorns rely heavily on logic, not emotion, and you’ll see that it really isn’t cold at all. Conrad Hilton, the famous hotel mogul, is a great example of a celebrity Capricorn: he’s known for handling investments well and making wise choices. Dr. Martin Luther King Jr., also a Capricorn, represents the other side of Capricorn traits: he became a leader of people not because he wanted power, but because he was the right man, at the right place, and possessed a wealth of talent, intellect, drive and determination. Capricorns are all persistent: some are driven toward financial success, others fight for principle.